Grab Singapore is planning to fold GrabFood under the main Grab app within the first half of 2019. This comes as GrabFood aims to be the main food delivery app in Singapore by the end of May 2019, in terms of order volume, shortest delivery time and having the widest selection of food merchants, reported The Business Times (BT). This was also confirmed to Marketing by Grab Singapore’s spokesperson, who added that the move is to enable users to enjoy a more seamless experience. Marketing has reached out to Grab for additional information. Quoting head of Grab Singapore Lim Kell Jay, BT reported that having a single platform that offers both transport and food delivery options provides Grab Singapore with the opportunity that “pure-play rivals” are unable to duplicate. He added that the company has been actively building a consumer base that consistently carries out transactions using the main Grab app. Its focus now is to offer a food delivery service via the main app to drive more business to its merchants. 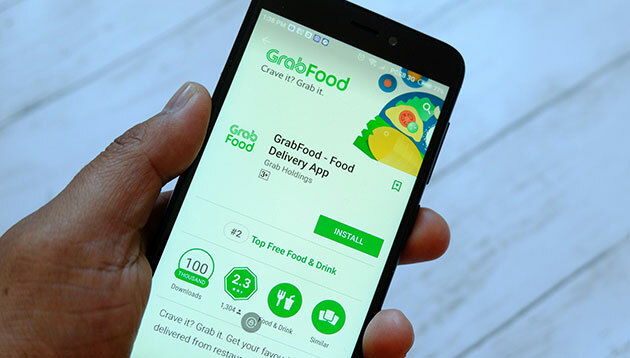 Meanwhile, Grab’s spokesperson also told Marketing that it is also considering the possibility of establishing a central kitchen for GrabFood in Singapore. This is in addition to the one it already has in Jakarta. Among the list of central kitchens in Singapore established by food delivery services include Favourites by foodpanda and Deliveroo Editions kitchen. Last month, it was reported that Grab will be getting a new headquarters in Singapore which is estimated to cost SG$181.2 million. The new headquarters is expected to complete in the fourth quarter of 2020 and will house all of its employees in Singapore. Most recently Lazada also integrated RedMart products into its platform, as part of its efforts to ramp up its supermarket business in Southeast Asia. This comes as Lazada looks to accelerate its growth to become the region’s “biggest eCommerce ecosystem”. After the tears over Lam Pou-Chuen abrupt death have dried, Animation International and AllRightsReserved have partnered up to lau..
Based in Singapore, both regional roles are newly-created to bolster the agency’s product capability and go-to-market strategy acr..